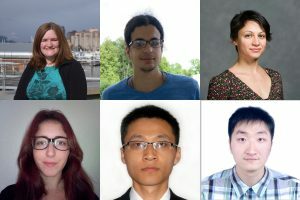 The Faculty of Science announced the inaugural recipients of the York Science Fellowships, a premier postdoctoral program that was created with the generous support of James and Marilyn Simons. 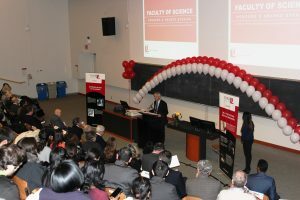 The Faculty hosted its annual Honours and Awards Ceremony, which featured keynote speaker Ian Harnarine. 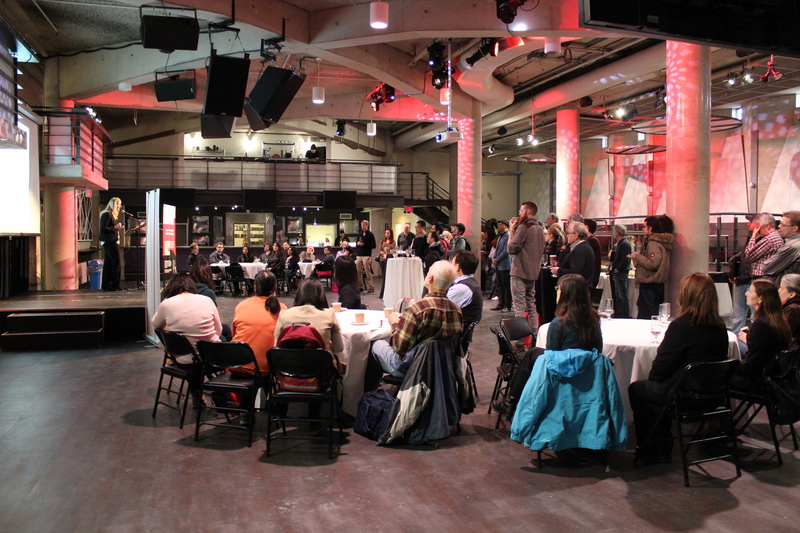 The program booklet and photos from the event can be viewed on our website. The Faculty hosted its third Science Unplugged event, featuring short presentations by Hélène Mialet (Science & Technology Studies), Muhammad Yousaf (Chemistry) and PhD student Yiyuan Wang (supervised by Huaiping Zhu, Mathematics & Statistics). Administrative Assistant Carol Weldon in the Department of Chemistry received the Ronald Kent Medal as part of the President’s Staff Recognition Awards. Yang Shen (Mathematics & Statistics) received a 10K USD grant from the Society of Actuaries for the project “A Unified Framework for Lifetime Retirement Planning with Longevity Risk: Optimal Asset Allocation, Insurance and Annuitization.” The funding is shared with Jianxi Su, a York alumnus and now an assistant professor at Purdue University. Alumnus and adjunct professor Scott Tanner (Chemistry) was the keynote speaker at our second Science and Business Workshop. 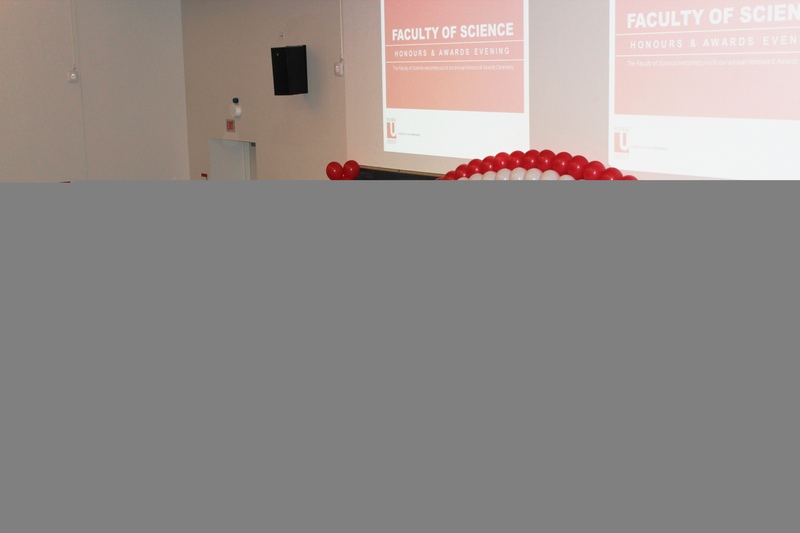 The 45th Southern Ontario Undergraduate Student Chemistry Conference, organized by Derek Wilson (Chemistry) and colleagues, was held at York University. The Department of Mathematics & Statistics hosted the Canadian Kangaroo Math Contest at York University. About 270 contestants from grades 1-12 registered. Nearly 20 volunteers from York, including students, assisted with the event. Science Engagement staff promoted the Faculty’s science camps. The Department of Science and Technology Studies held a book launch event for the late Richard Jarrell’s book “Educating the Neglected Majority.” The event featured a panel of speakers, including Ernie Hamm (Science and Technology Studies); Jack Heath, Deputy Mayor of Markham; Trevor Levere, University Professor Emeritus, University of Toronto; and John Parry, Editor of Words Indeed Publishing. Undergraduate math and computer science student Askhan Moatamed was accepted into the 2017 Fields Undergraduate Summer Research Program. Machine shop staff member Jerry Grech was showcased in a case study by Stratasys, a 3D printing company. Christopher Lortie (Biology) has published a list of 10 rules for preparing short and swift science presentations. Sapna Sharma (Biology) appeared in the documentary “On Thin Ice,” which was produced The Water Brothers and aired on TVO. Dean Ray Jayawardhana authored an article in The Atlantic about radio telescopes joining forces to peer into the event horizon of a black hole for the first time. Muhammad Yousaf (Chemistry) spoke to Fairchild TV about his recent research in creating a scaffold-free 3D cardiac tissue. Gerald Audette (Chemistry) was on the Discovery Channel’s Daily Planet to do a science demonstration of gas expansion and freeze fracture with bottles. Dawn Bazely (Biology) was interviewed for the Canadian Science Publishing’s Women in Science series. Paul Delaney (Physics & Astronomy) spoke to CTV News about the SpaceX launch update and Mars Express images, as well as to AM900 CHML about the Pluto planet debate.